Lorne Theophilus is entering his third year as St. Lucia’s minister of tourism, heritage and creative Industries, having been named to the post in December 2011. He presides over a destination whose overnight tourist arrivals grew 3.5 percent in 2013, according to Caribbean Tourism Organization statistics. Unusually lush even by the Caribbean’s stratospheric standards, St. Lucia is a strong destination weddings market player, with several sophisticated resorts that incorporate the outstanding natural environment. 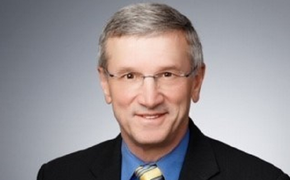 Theophilus talked with TravelPulse recently to discuss the destination’s tourism performance in 2013, and share his expectations and projections for 2014. TravelPulse: At 3.5 percent, St. Lucia’s tourism growth in 2013 was almost double that of the entire region. 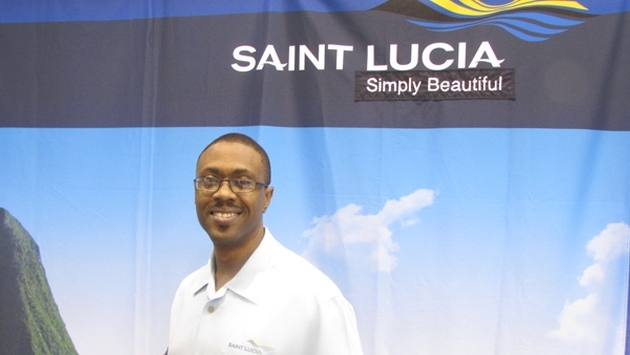 How has St. Lucia tourism been able to succeed? Lorne Theophilus: We have taken a strategic approach. I have a very strong team of skilled and trained professionals and I listen to them. These are tough times for all of the territories, so we have to capitalize on our strengths as much as possible, but there is always room to do more. We must continue to strive to increase our visibility and connectivity. We have benefitted from a 14 to 16 percent effective increase in airlift. We have also taken a different approach to industry investment. We have encouraged new properties and new investment and have worked with existing hoteliers to make sure they refresh their properties so that we are more consistent. There is more collaboration between diverse entrepreneurs. It’s about cooperation. Not all of the desires can be met, but we are dependent on the contribution of tourism to the economy. We also are trying to expose the diversity of our product. We are culturally diverse and we are certainly recognized as a wedding and romance destination. But we also have strengths in health and wellness and soft adventure. We have regional strength in sports tourism, and of course we have the St. Lucia Jazz and Arts Festival in April and May, and Jounen Kweyol (Kreyol Day), which is celebrated on the last Sunday of October across the entire island. TP: Despite the increase in St. Lucia’s numbers, the Caribbean region overall went from nearly five percent growth in 2012 to below two percent in 2013. Are you concerned about this regional downturn? LT: As a region we have had some challenges. I think one of the issues where we as leaders in the Caribbean must go beyond lip service and truly work to solve is regional air transportation. For St. Lucia, the Caribbean is our third-largest source market. Creating an effective and efficient air transportation network is our own issue because it directly impacts our own people. TP: Caribbean Tourism Organization and Caribbean Hotel & Tourism Association officials are working together in an unprecedented manner via the onecaribbeean.org website. Do St. Lucia tourism stakeholders see value this regional promotional effort? LT: The CTO and CHTA have done a good job of promoting the Caribbean as one destination. Caribbean destinations are similar, but at the same time unique and distinct. There are experiences that can be shared on some islands that just are not available on others.